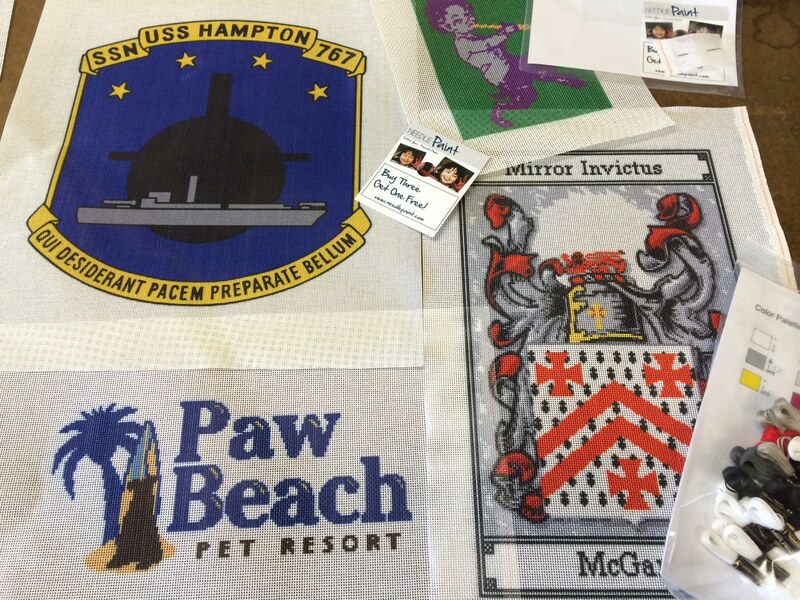 Here are some of the great needlepoint projects we made this week. 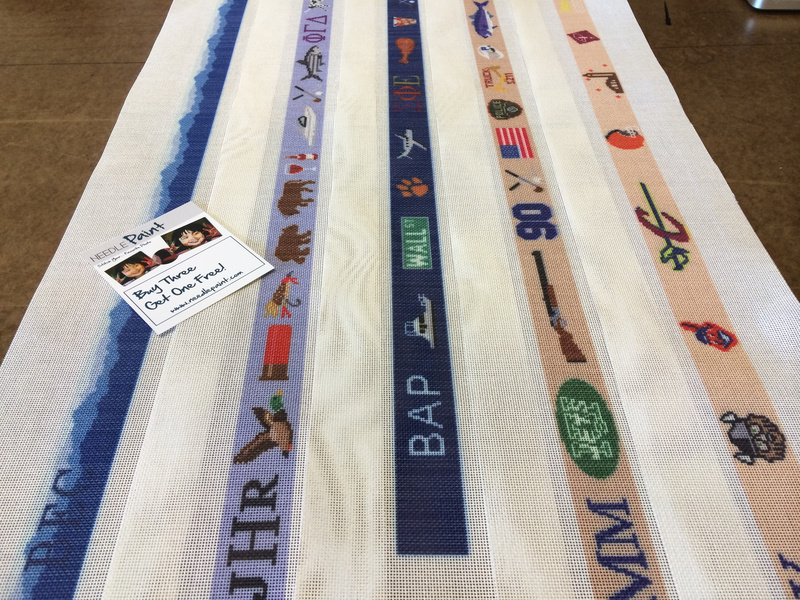 I’m really excited about one of our needlepoint belt designs! 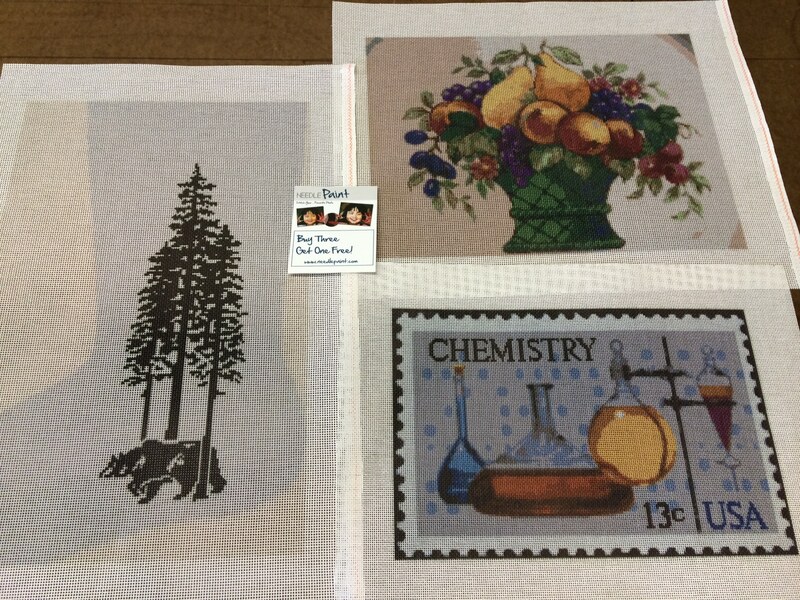 You may be able to guess which one, but it is overshadowed by the large art needlepoint designs we did this week. If you look closely at the needlepoint belt canvas, you’ll see we did a whole landscape scene. It came out really well! 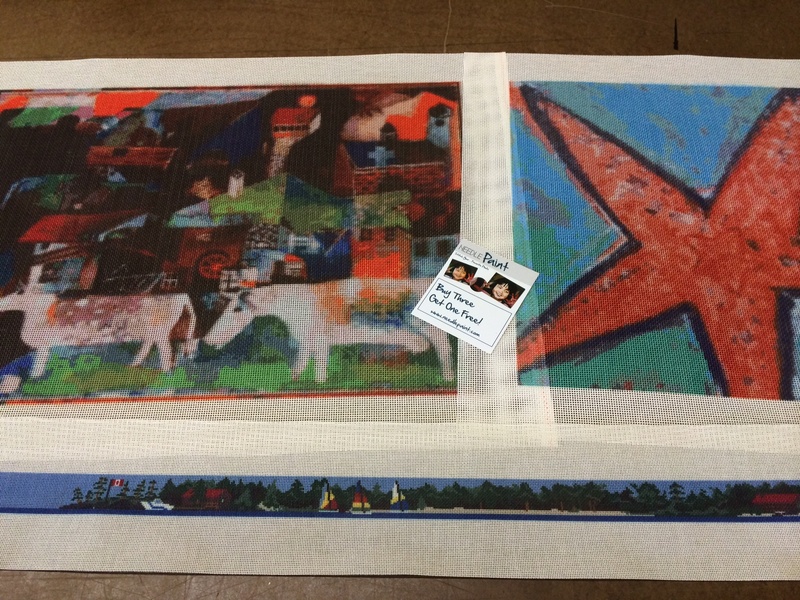 The image below shows a custom christmas stocking canvas we did from a photo, an art canvas, and a needlepoint design from a stamp. Finally, I’m adding some feedback we got from our customers last week! We get a lot of great feedback that makes me smile but our marketing director said I should be sharing it, too. I got the canvas last night. It looks absolutely amazing. Even better than I could have hoped. Thank you so much for everything. Tracy has outdone herself again, I keep wondering how she does it! 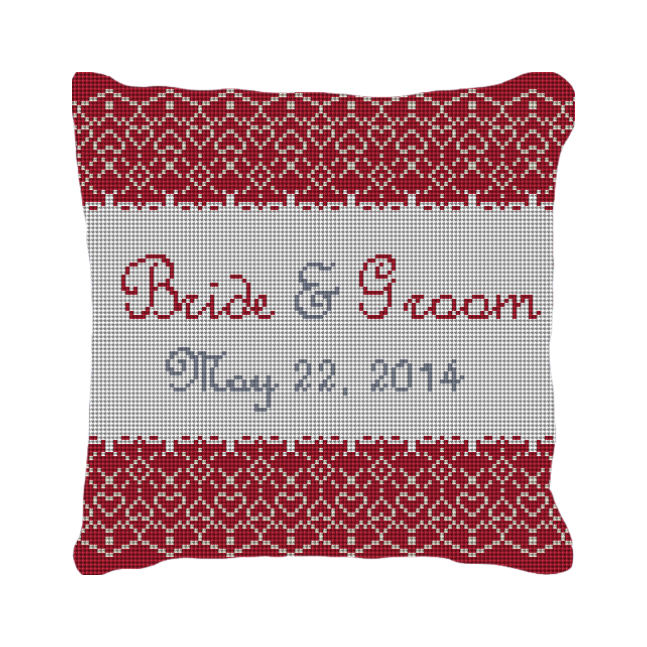 I’m going to start with my favorite, the Red Lace Personalized Ring Bearer Pillow. I think I love it because it adds just a little modern twist on an elegant classic design that is pretty much timeless. 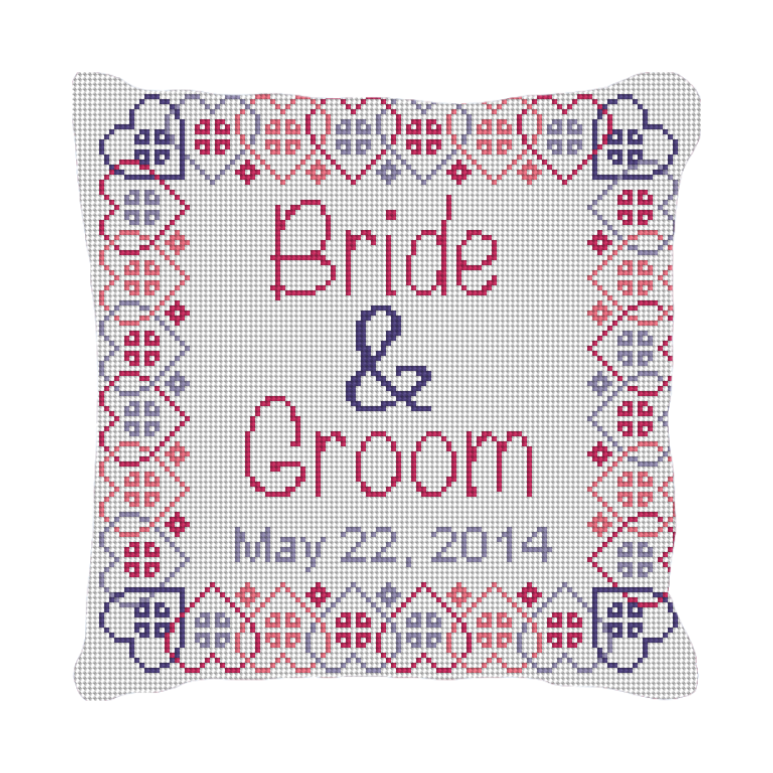 Next is the Salo Ring Bearer Pillow Needlepoint Kit (or you can buy it as a finished pillow). It features interlocking hearts and simple modern pattern for a bit more playful wedding. 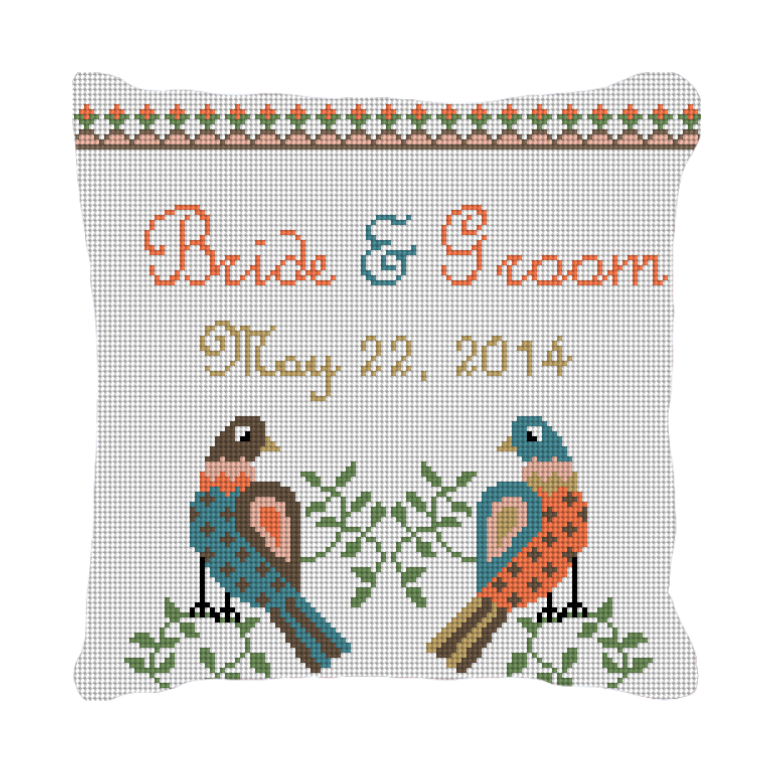 The last new design this week is our Dove Love Custom Wedding Ring Bearer Pillow. Doves have long been a symbol of love and peace and the design brings a bit of an eclectic feel for a couple who likes to bring a bit more color into their lives. Another great week at NeedlePaint! So many fun custom projects to be stitched, I took some pictures of some my favorites this week. 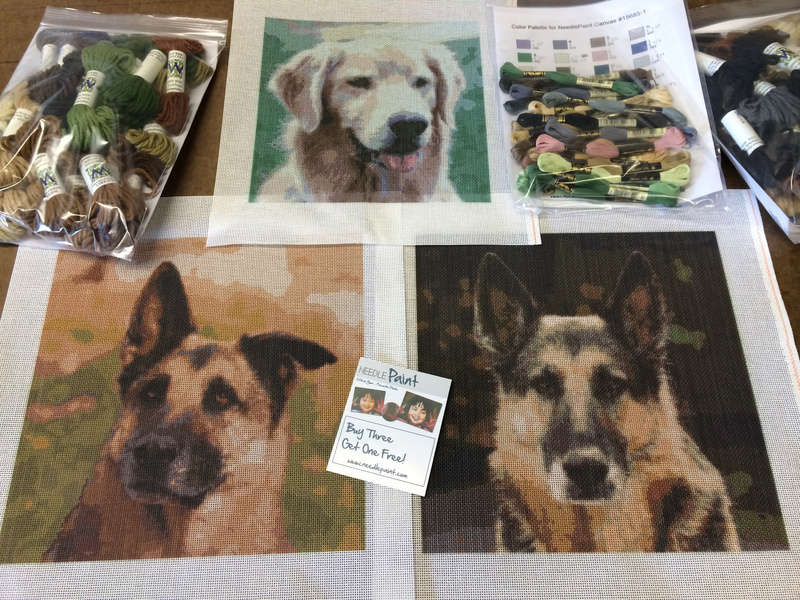 The dog needlepoint kits came out really well this week. The two German Shepherds are going to be stitched into pillows! 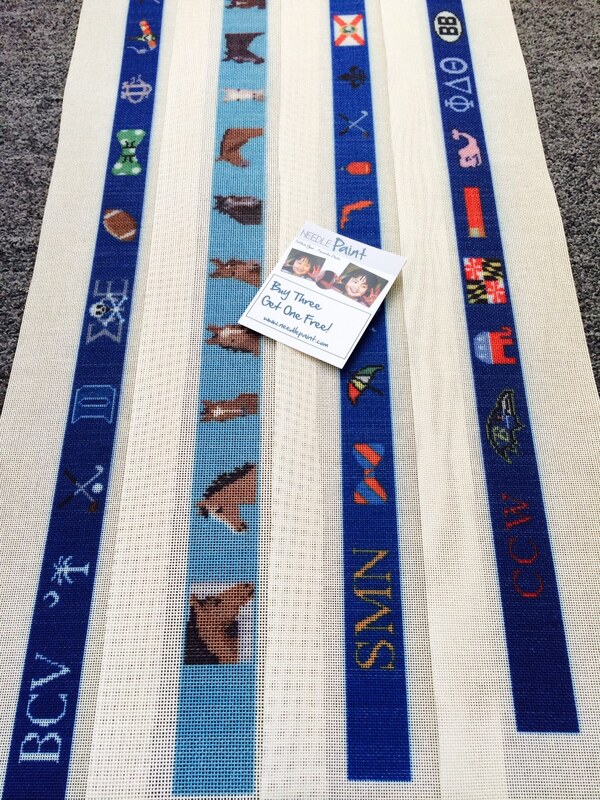 Next, if you’ve been following our blog, the needlepoint belt canvases are probably my favorite projects to help design. This week there is even a Cleveland belt, can you figure it out? 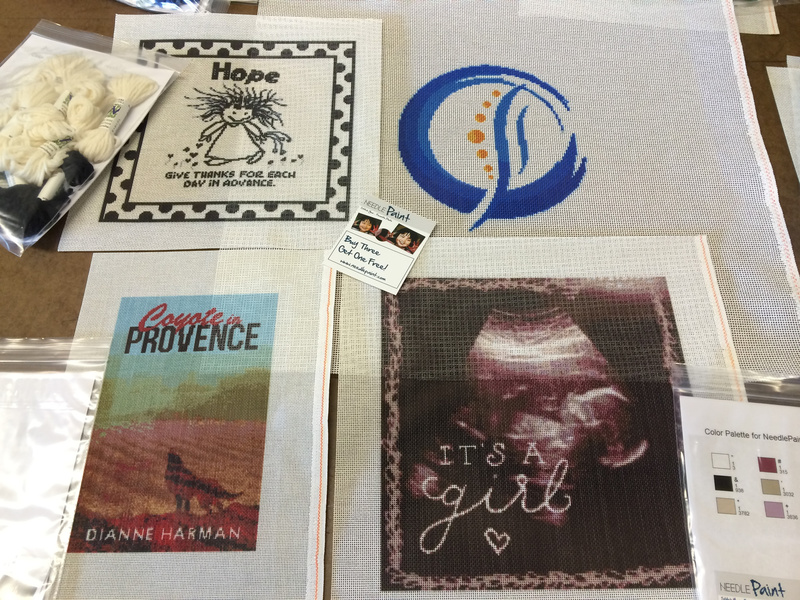 Check out these fun custom needlepoint designs: a book cover, a business logo, an ultra sound and one our featured Children of the Inner light designs! 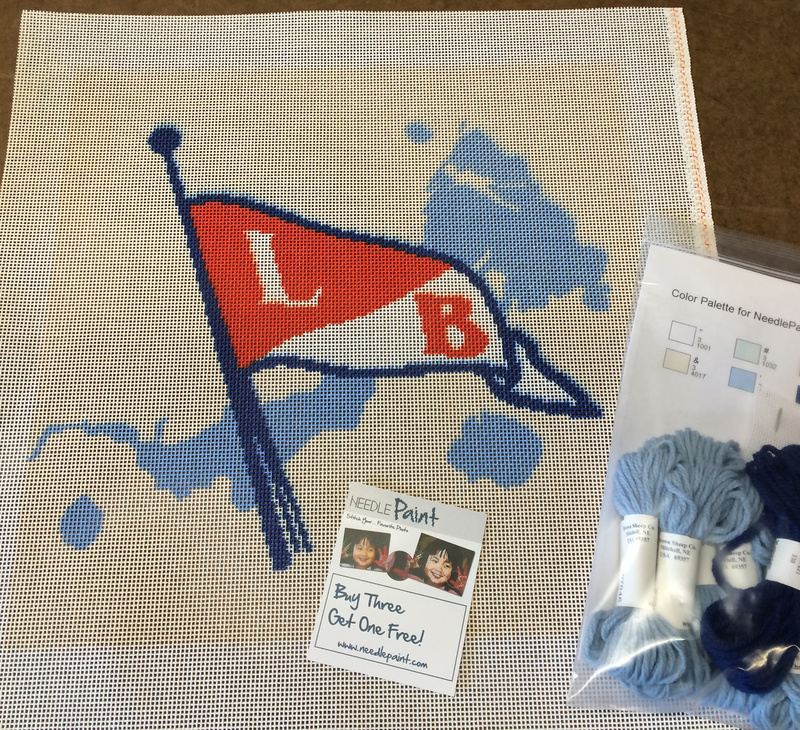 And finally, a custom yacht club pillow for the Lake Beulah Yacht Club. This is going to be stitched by a friends mom who has been helping spread the love of needlepointing! Last week we had some customers send in pictures of their lovely work! 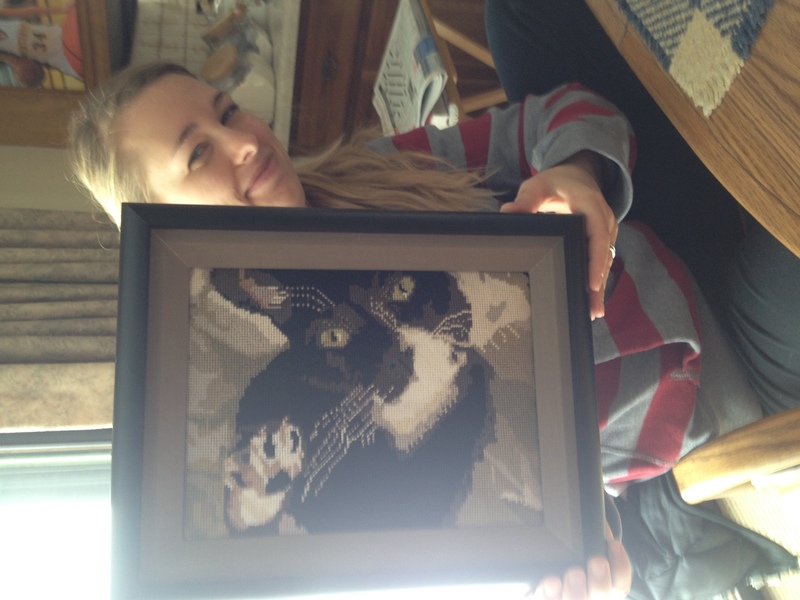 Natalia in Mexico stitched their family’s coat of arms and Alex has stitched their cat! I have to say, that I think they turned out great! I really brightens up my day to see the projects after they are done, I hope it does the same for you! 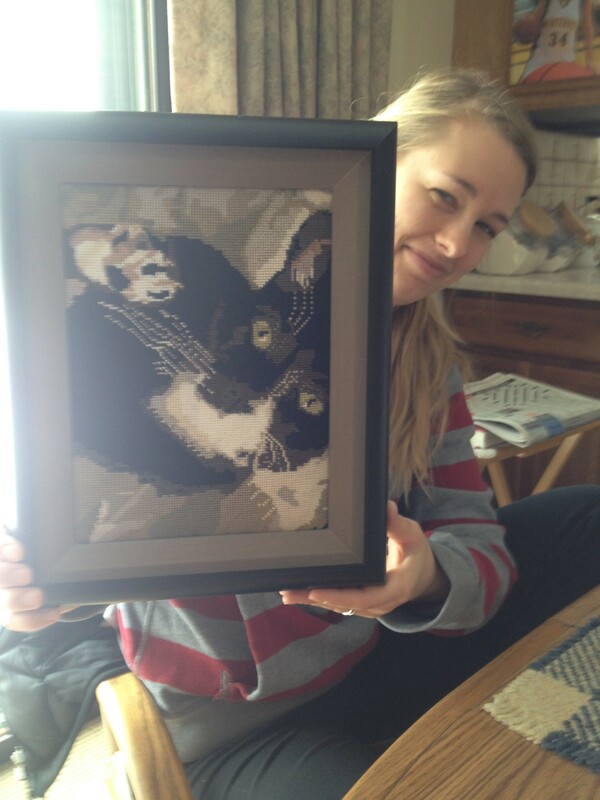 The Custom Cat Needlepoint Project is Finished! 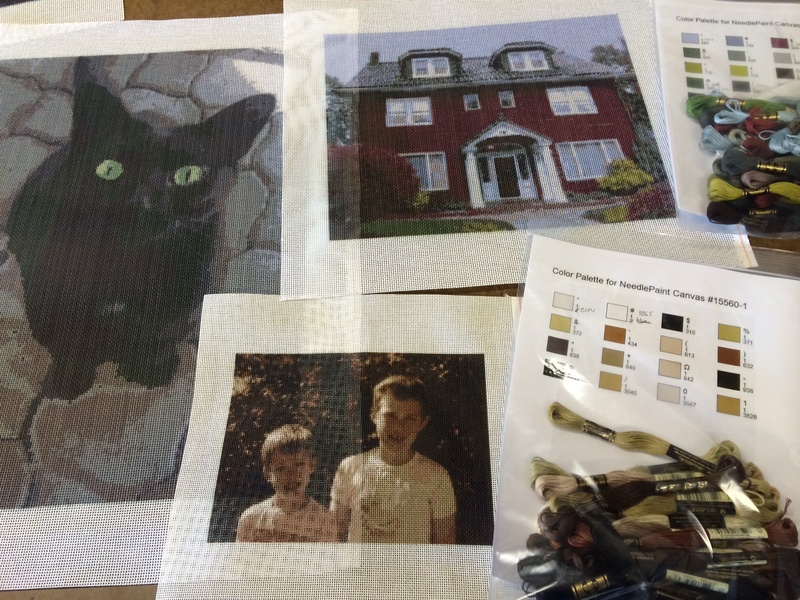 Friday Favorites – Custom NeedlePoint Kits Galore! So many great projects this week! 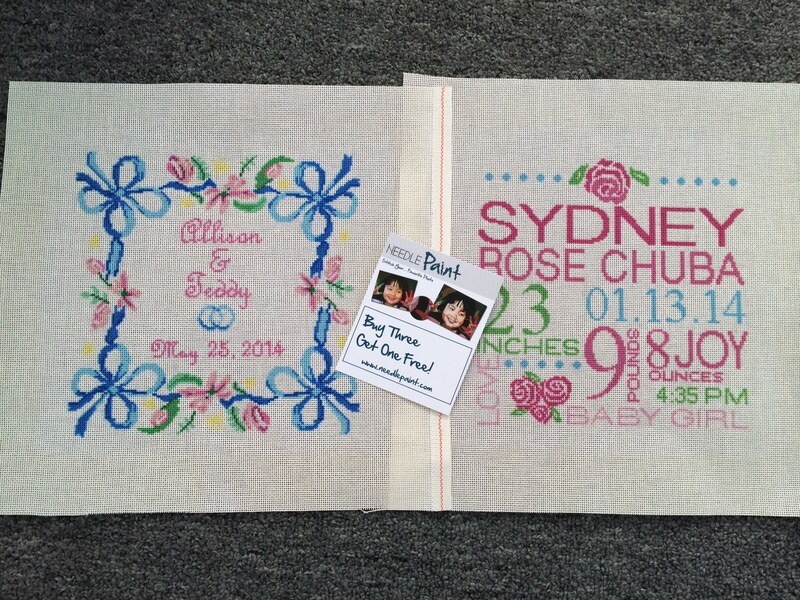 We had personalized wedding, baby, and belt canvases, illustrated designs and some fantastic photo needlepoint designs! Oh, did I mention the new horse belt design? That will be available soon on the website. I took pictures of my favorites to share… Have a very loving weekend! We had a custom request to design some new ducks for a needlepoint belt. I’ve got to hand it to Tracy, she blew this project out of the water! The ducks look amazing, better than anything I’ve done. So I had to make the duck hunting belt available in our shop! The current background is khaki but it can be changed to any lighter tone color. As with all of our products the monogram will be personalized and this is available as a canvas or a finished belt. 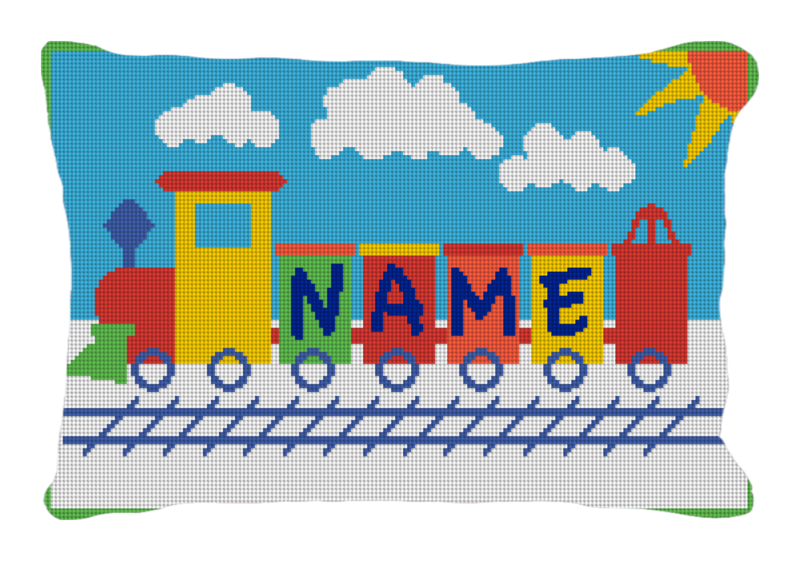 This design just makes me smile, I think it is my new favorite personalized kids pillow on NeedlePaint! 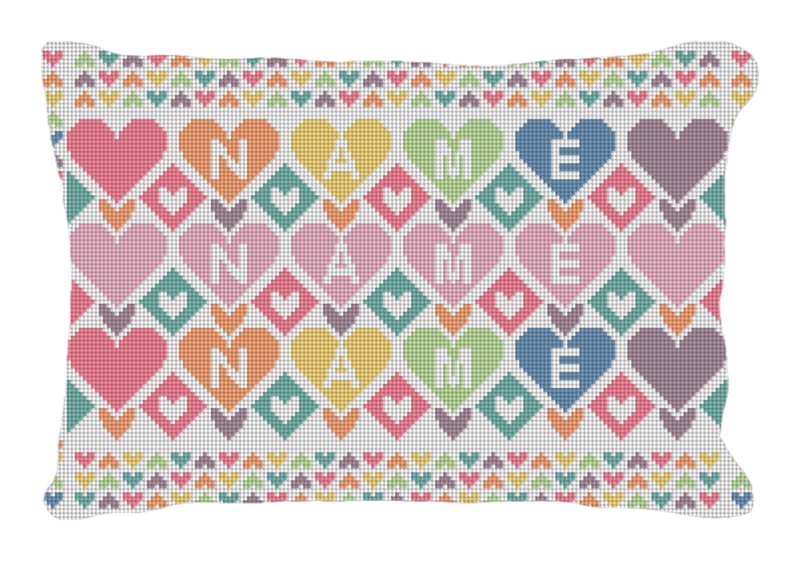 The Colorful Hearts Personalized Pillow is made to order, it will be customized to fit the child’s name and then an email with the proof will be sent for your approval before being stitched. 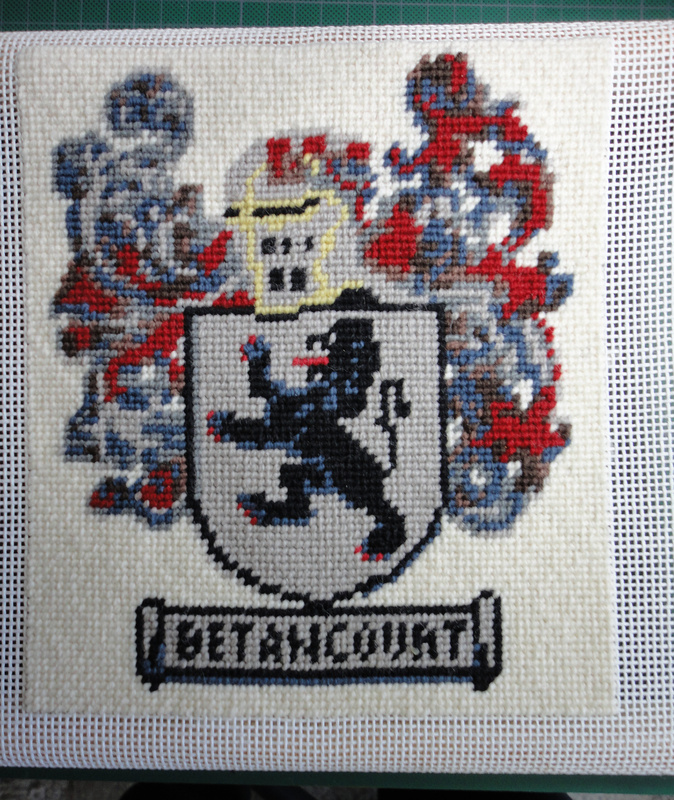 Or, if you prefer to stitch it yourself, you can order it as a needlepoint kit from us!